We attended 59th annual meeting of the Japan Society of High Pressure Science and Technology in Okayama, Japan in the end of November. 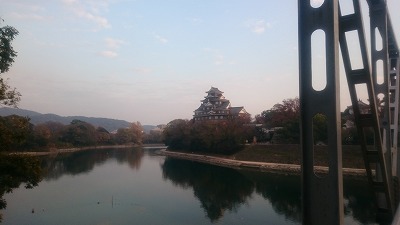 You might have not heard this place before, Okayama is about 200 km west from Osaka. Okayama is on the inland sea and very nice place to get fresh seafood and exploring nature part. There are several historical area too. If you have been to Japan several times before, we recommend you will visit there next time. Meeting itself is same as usual both in a good sense and in a bad sense. Once you come to this meeting, you might feel this society is very closed and conservative. In our thought this kind of society is double-edged sword. We suppose Ultrahigh pressure market is going OK at this moment here in Japan, however we need to open our doors not-too-distant future whether we like this style or not. Of course Japanese researchers have their own way. We understand this point. Even so, we have to exchange much information and collaborate with foreign researchers much more. This is one of the best ways to improve this research area to be successful from now on.